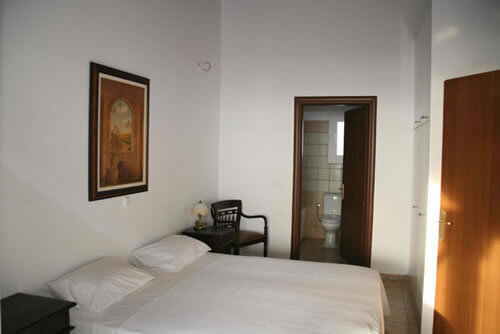 Address : 23, Kapodistriou str. This impressive villa stands in its own large garden just 20 steps over the small and very quiet and unspoilt beach of Kanouli. Approached by a track, which leads to nearby houses and on to the beach, the house occupies a front row position with uninterrupted sea views, especially beautiful at sunset. The pool is set in a lawned garden and boasts its own pool house with a built-in barbecue and shady dining area. 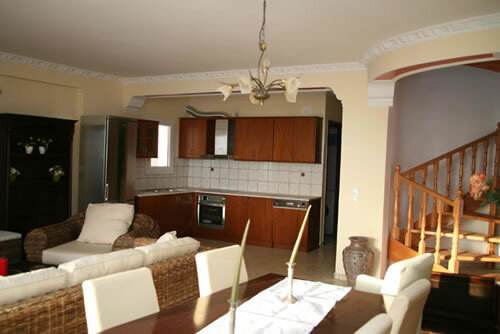 Large terraces surround this spacious villa which is very comfortably furnished and well-equipped and modern inside. Ground floor: Large open-plan living/dining room + fire place, separate sitting area, full-equipped kitchen, 2 x single bedrooms, 1x WC/bath. First floor: Two double bedrooms, the first bedroom with WC/bath/ Jacuzzi and large half- covered balcony with enough space to seat or to lie all together the 8 or 10 persons enjoying the wonderful sea view and the sunset (if you are in the right time of the year), and the second bedroom with WC/shower with watermassage and balcony with very nice panorama seaview. 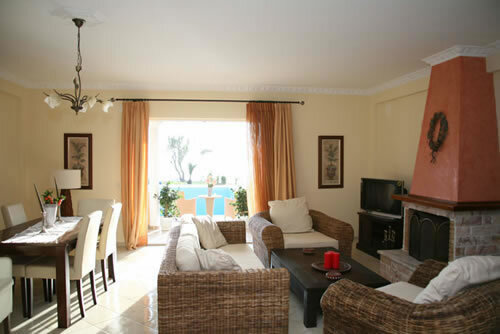 Private Pool 66qm, garden and verandas with sunbeds for 8 persons and BBQ house near the pool. 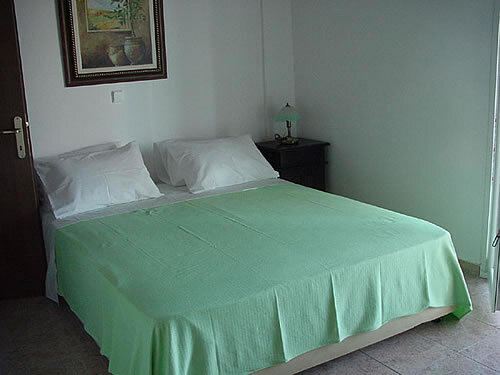 For your better comfort we provide wash machine, dishwasher, full A/C, Sat-TV + DVD player and Tel. for local calls or internet access. Maid service: 3 times a week . Bedrooms: 4 bedrooms. 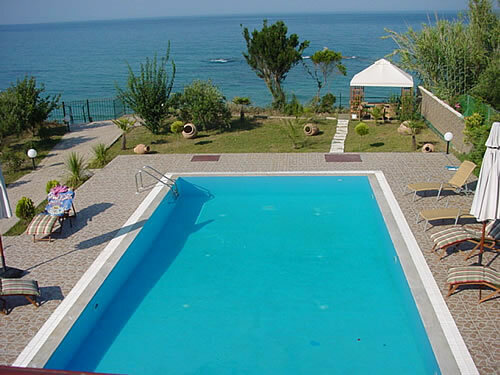 The wonderful new built beach front Villa Sofia, is situated on the south-middle-west part of Corfu and in the north part of the Korission Lake. From Corfu Airport and port 25km. From nearer village Agios Matheos and Messonghi or Moraitika about 5km. From Chalikouna beach about 2,9km. From Prasudi beach about 1,5km. From Skidi beach about 1,5km oder about 200m through the sea (walking or swimming through the shallow water). From Paramonas beach about 4km. From Agios Gordis about 9km. 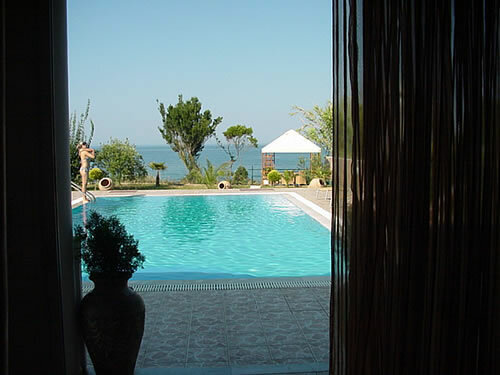 Next Taverna in Prasudi, Chalikouna beach and Paramonas beach. Next Minimarket in Prasudi beach (1,5km) or direction Messonghi (2km) and bigger super market in Messonghi direct. Car Rental is recommended! Please ask for our special low offers starting from 19euro a day. One day Boats excursions or fishing and yachting on request! Honeymoon arrangements on request possible! 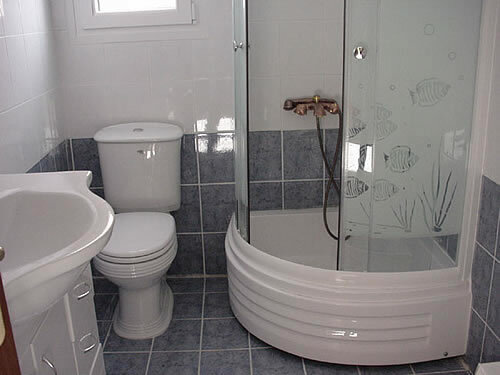 The beach front villa Sofia is full air conditioning, the telephone is available at the villa for all incoming calls and outgoing local calls only. Of course you can use the tel. for abroad calls giving us your credit card details as deposit. The swimming pool is 66qm. 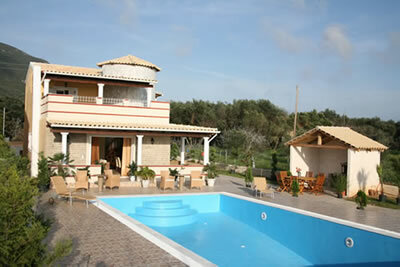 A hire car is a key ingredient in allowing you to enjoy fully the freedom of a villa holiday. That's why we offer you special car hire prices with full insurance and unlimited mileage, in our internet site www.corfu-villas-apts.com you can see several kind of cars, if you don't find the suit one, then send us an email with your enquiry and we will arrange it for you.